Best Cannabis Strains Colorado. Colorado cannabis. Colorado marijuana. These days, cannabis strains are stronger than they were in the past. In fact, more unique strains can be found today than in the past. Many of the marijuana strains today have better flavors and taste more interesting. For instance, there are flavors that have a blueberry or banana taste. With an assortment of varying cannabis strains that you now can choose from, it is a challenge to know which ones are better than others. In many cases, it will depend on the exact strain that you are seeking and for what purpose. However, many of these existing strains have gained more popularity than others. Marijuana plants are grown in various regions, in different temperatures and with different genetics and for that reason, some of them are set apart from others as it relates to availability and quality. For example, one cannabis strain may be easier to be found in California and yet difficult to find in Colorado. So, let’s look at the best cannabis strain inventory that you can find in marijuana dispensaries and pot shops in the state of Colorado. While Green Crack may appear seedy to some, this is one of the cannabis strains that have been hard to keep on the shelves of local marijuana dispensaries in Colorado. This particular strain is said to make you have laughing fits when consumed. So, if you are looking for some giggles, this is the ideal strain. Durban Poison is one of the most common cannabis strains in Colorado and is known for its African roots. Many smokers of this strain have indicated its ability to make the user become more focused and creative. Durban Poison is compared to the cup of coffee that some people must have before starting their day at work. Golden Goat can originally be found in Kansas, but has held its superiority and dominance in the state of Colorado since it arrived as medical cannabis was legally debuting. Golden Goat has maintained its popularity, even though; many cannabis enthusiasts may have grown weary of it. There are still many that love it. Flo is one of those hybrids that are uplifting. 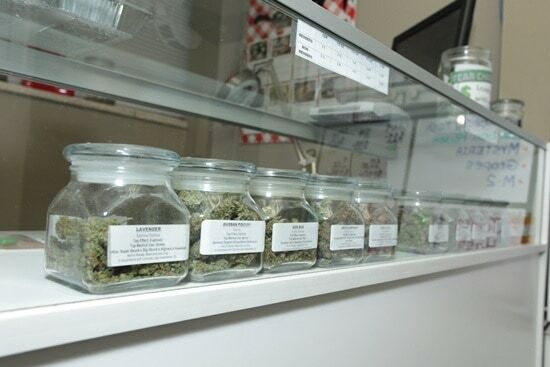 Once you get this particular strain, you might want to stash up on it. From Afghanistan, Flo has an earthy and sweet flavor. If you are looking for a blast of euphoric experience to relax your body and let your mind go free, Flo is the perfect choice. Northern Lights is one of the indica-dominated cannabis strains that could not go unmentioned. The sensation from this hybrid is obvious as it brings out all the senses. Blue Dream is one of the cannabis strains that had to make this list. It has a pleasant aroma and has the uplifting effect that many marijuana users have come to expect. Banana Kush is one of the cannabis strains that can always be found in marijuana dispensaries and weed shops all across the state of Colorado. It smells like fresh bananas. If you are seeking deep relaxation of the mind and body, then this is one that you should choose. Mob Boss is one of the newest cannabis strains, but has quickly stole the hearts of marijuana users in Colorado. It has a citrus flavor and high potency. If you want to treat stress, loss of appetite and pain, then Mob Boss will not disappoint you. Sour Diesel is a sativa strain and very popular in marijuana dispensaries across Colorado. It will keep you going for hours, giving you tons of energy for lots of outdoor activity enjoyment. That is one of the reasons why Sour Diesel has been in such demand. Girl Scout Cookies cannabis strain has had a truly recognizable craze in California. However, Colorado has embraced it as well. This is one of the cannabis strains that have been well stocked in marijuana dispensaries across Colorado. If you are looking for euphoria, this strain is one of the best selections. If you want to learn more about cannabis strains, visit Cannabis Training University.